While being inspired in Palm Springs, I sketched out a few photo shoots I wanted to complete this summer. One of them was a character portrait of a very pregnant friend. The idea was to illustrate the old saying “ready to pop” and I had a few different ideas on how I wanted to do this. Once the friend was on board to participate,I chose an all red set and the concept of using popcorn to illustrate the idea. 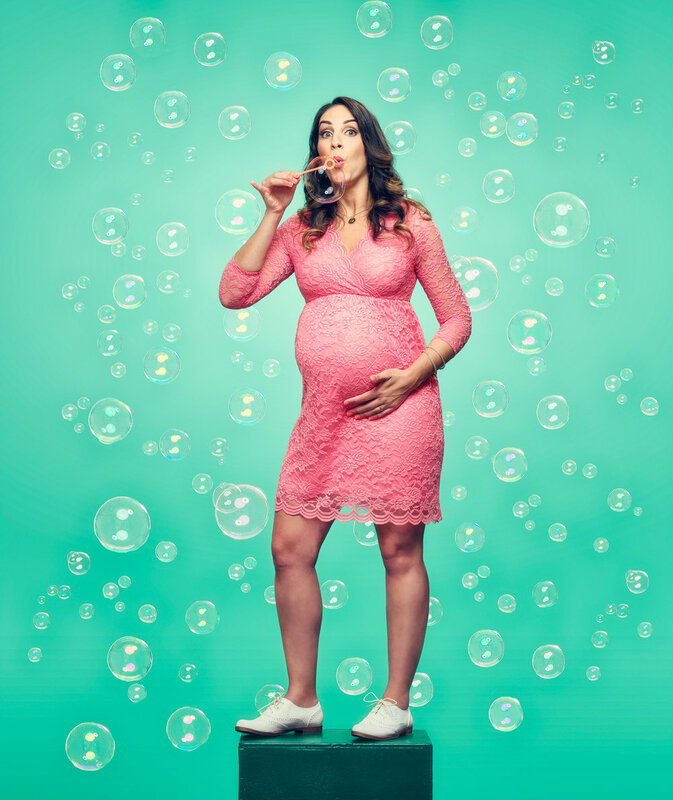 While prepping the shoot, I noticed a friend's pregnant wife on his instagram and thought, why not use the other idea i sketched out, bubbles! Never thought I’d have two maternity shoots in my portfolio, but I love them both.